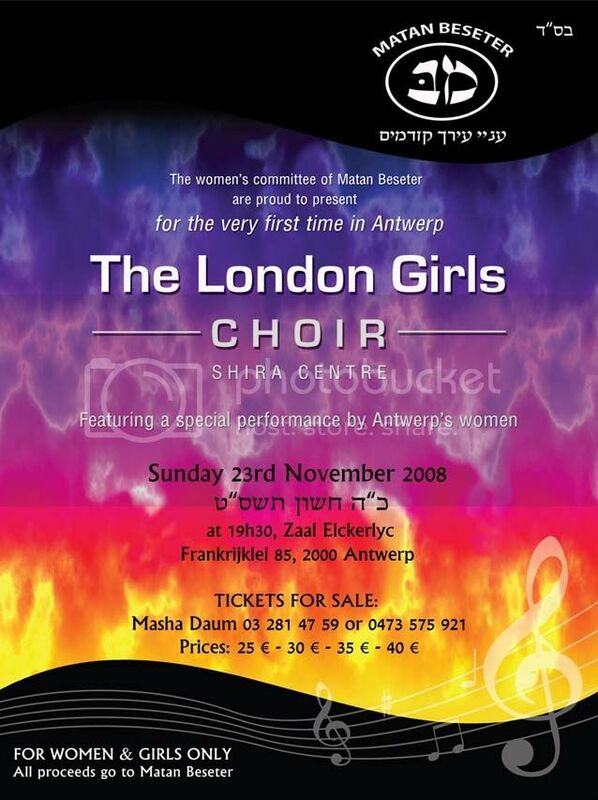 The women’s comittee of Matan Bseter proudly presents for the first time in Antwerp THE LONDON GIRLS CHOIR. Featuring a special performance by Antwerp’s women. Sunday the 23rd of November 2008. For Women Only!